Dr Marty Branagan is a Lecturer in Peace Studies. He holds a PhD and a Graduate Diploma in Education from UNE, and a BA from Sydney University, where he was a member of the Student Representative Council. He also has a Diploma of Fine Art from the New England Institute of TAFE NSW. During his PhD studies he was awarded the New England Award for extra-curricular activities and contribution to the community. Marty coordinates PEAC303/503 Active Resistance: Contemporary Nonviolence, for which he created the annual Nonviolence Film Festival (sometimes accompanied by a Peace Exhibition). He has a long history of participant-observer research into nonviolent activism, and has recorded a series of interviews with ABC Local Radio about Australian environmental campaigning. He also coordinates PEAC373/573 Globalisation as if People and Ecosystems Matter, and has coordinated PEAC352 Building Peace in Post Conflict Situations and PEAC354 Post-Conflict Justice and Reconciliation Processes. Marty helped create a new degree Master of Environmental Advocacy, after earlier helping develop a new unit PAIS365 Politics and the Environment: Intersecting Crises. The Master of Environmental Advocacy has now been transformed into the Master of Arts (Environmental Advocacy). Marty has tutored at the Oorala Centre, worked in remote communities in Australia and Borneo, and with indigenous and non-indigenous 'youth at risk' in art-based programmes through TAFE NSW which aim to build skills, teamwork and self-esteem. He has taught art at TAFE, held numerous solo art exhibitions, organised group exhibitions such as at Armidale's Aboriginal Cultural Centre and Keeping Place, worked extensively in community and student radio, and coordinated public art projects such as mural painting. Pterodactyls Take Another Sky-Surfer - a surrealist painting in his 2009 exhibition at the New England Regional Art Museum. It features mountains and paddocks morphing into ocean and beach, and has a global warming theme of rising oceans and wilder surf. His research interests include developments in nonviolence, Australian activism, nonviolent resistance to Nazism, and the role of the arts, humour and creativity in social change. He is also interested in ways of addressing global warming, biodiversity loss and other environmental issues, and in learning and teaching in protest movements. The carbon footprint of militarism and the issues above were covered in his 2013 book Global Warming, Militarism and Nonviolence: The Art of Active Resistance. Marty's book and articles have been used by courses at UNE, Brandeis University, USA and the University of Calgary, Canada. He has co-organized several conferences, such as 'Students and Sustainability' (SCU 1996) and 'Mining in a Sustainable World' (UNE 2013), which resulted in a special edition of the International Journal of Rural Law and Policy, while a 2012 Peace Studies conference resulted in a book Cultivating Peace. Marty is currently Library Liaison Officer for Peace Studies, building up the Dixson Library's collection of peace books, journals and films. He also donated the Armidale Environment Centre's Archives to Dixson's Special Collections. Marty plays music with the band 'Waldorf Salad' and coaches junior soccer. 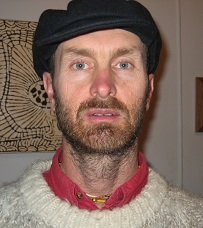 He and his partner are active in permaculture and an organic food cooperative, and have two school-age children. Branagan, Marty 2013, Global Warming, Militarism and Nonviolence: The Art of Active Resistance, Palgrave Macmillan, UK. Ware, Helen; Jenkins, Bert; Branagan, Marty and Subedi, DB (eds) 2014, Cultivating Peace: Contexts, Practices and Multidimensional Models, Cambridge Scholars Publishing, Newcastle upon Tyne. Branagan, Marty 2008, We Shall Never Be Moved, Lambert Academic Publishing, Koln, Germany. Branagan, Marty 2006, Art Alone Will Move Us: Nonviolence Developments in the Australian Eco-Pax Movement 1982-2003, University of New England, Armidale. Branagan, Marty (pseud. 'Simon Ellis') 1994, Horizontal Lightning, Gaia Ink! & Fast Books, Glebe. Keats, Warren 2009, A Hindsight View: 1929 – 2009, Search Foundation, Surrey Hills. Branagan, Marty; Williams, Jacqueline; and Kennedy, Amanda 2014, 'Editorial', International Journal of Rural Law and Policy, No. 1. Branagan, Marty 2011, 'The Folklore of War and Peace', Australian Folklore, Vol.26, November, pp. 28-42. Branagan, Marty 2010, 'Nonviolent Social Change in the Contemporary World', New Community Quarterly, Vol. 8, No. 1, Autumn, pp. 44 -48. Branagan, Marty 2009, 'Nonviolence or Continued Militarism and Climate Change?' New Community Quarterly Vol. 7 No. 1 Autumn 2009 pp. 25-27. Branagan, Marty 2007a, 'The Last Laugh: Humour in Community Activism', Community Development Journal, vol. 42, no. 4, pp. 470-481. Branagan, Marty 2007b, 'Activism and the Power of Humour', Australian Journal of Communication, vol.34, no. 1, pp. 41-54. Branagan, Marty 2006a, 'Volunteerism and Learning in the Eco-pax Movement', New Community Quarterly, vol. 4 no. 3, Spring, pp. 28-30. Branagan, Marty 2005a, 'The Art(s) of Nonviolence', New Community Quarterly, vol. 3, no. 2, pp. 23–27. Branagan, Martin 2005, 'Environmental Education, Activism and the Arts', Convergence, vol. 38, no. 4, pp. 33-50. Branagan, Marty 2004, 'We Shall Never Be Moved', Journal of Australian Studies: New Talents 21C:Write/up, no. 80, pp. 201-210. Branagan, Marty 2003a, 'The Art of Nonviolent Activism', Social Alternatives Vol. 22 No. 3, Third Quarter, 2003, pp 50-55. Branagan, Martin and Boughton, Bob 2003, 'How Do You Learn How to Change the World? Learning and Teaching in Australian Protest Movements', Australian Journal of Adult Learning 43/3 (November 2003), pp. 346-360. Branagan, Marty 2003b, 'The Art(s) of Nonviolent Protest in Australia: 1982-2002' in Dissent No. 11 Autumn/Winter 2003 pp 36-40. Branagan, Marty 2003c, "The Role of the Arts as a Tool of Nonviolence in the Australian Protest Movement 1982-2002" in Campus Review (Postgraduate Forum) Vol 13, No 17 May 7-13 2003 p 9. Branagan, Marty 2000, 'Jabiluka Response', Nonviolence Today, no.65, May-Aug, p.7. O'Dwyer, Belinda & Branagan, Marty 1995, 'Forest industry lies', Green Left Weekly, no. 196, 2 August, p. 28. Branagan, Marty and Reavell, Ron 2009, Moree Social and Community Plan, Centre for Applied Research in Social Science, University of New England. Horacek, Stefan; Branagan, Marty; Scott, John; Reavell, Ron 2009, Walcha Social and Community Plan, Centre for Applied Research in Social Science, University of New England. Horacek, Stefan; Branagan, Marty; Scott, John; Reavell, Ron 2009, Uralla Social and Community Plan, Centre for Applied Research in Social Science, University of New England. Horacek, Stefan; Branagan, Marty; Scott, John; Reavell, Ron 2009, Guyra Social and Community Plan, Centre for Applied Research in Social Science, University of New England. Horacek, Stefan; Branagan, Marty; Scott, John; Reavell, Ron (plus council staff) 2009, Armidale Dumaresq Social and Community Plan, Centre for Applied Research in Social Science, University of New England. Branagan, Marty 2014 Keynote Speaker, The Activist's Journey seminar, The Centre for Peace and Conflict Studies and United Nations Association of Australia, University of Sydney, 24 April. Branagan, Marty 2014 'Nonviolent Resistance to Nazi Germany: What Occurred and What Could Have Occurred', International Peace Research Association 25th global conference Uniting for Peace: Building Sustainable Peace Through Universal Values, Istanbul, Turkey, 11-15 August. Branagan, Marty 2014 Australian Opposition to Uranium Mining: A History of Nonviolence Development', International Peace Research Association 25th global conference Uniting for Peace: Building Sustainable Peace Through Universal Values, Istanbul, Turkey (paper presented twice), 11-15 August. Branagan, Marty 2013, 'Artistic Activism', EcoArts Australis Conference, Wollongong University, 12-13 May. 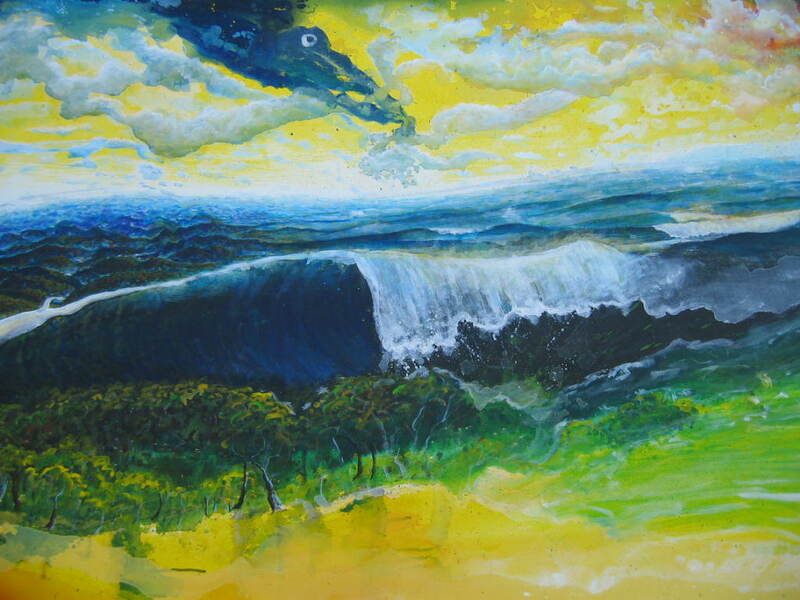 Branagan, Marty 2013, 'Artworks from a Warming Planet', EcoArts Australis Conference, Wollongong University, 12-13 May. Branagan, Marty 2012, 'Fighting Fire With Water: Nonviolent Alternatives to Militarism as a Climate Change Strategy', International Peace Research Association global conference 2012, "Peace and Justice in a Globalised World: Opportunities and Challenges", Mie University, Japan, 24-28 November (paper presented three times). Branagan, Marty 2011, Workshop Presentation, NTEU Climate Change Conference 'Pushing the Boundaries', Melbourne, 28-9 April. Branagan, Marty 2011, 'Nonviolence: How Most Revolutions Really Occur', School of Humanities Seminar Series, University of New England, 5 August. Branagan, Marty 2010, 'Communicating a Nonviolent Green Paradigm Through the Arts and Humour', Communicating Peace: International Peace Research Association (IPRA) Conference, University of Sydney, 6-10 July. Branagan, Marty 2006b, 'Humorous Activism: Heal While You Edumacate', Australian and New Zealand Humour, Health and Education Conference, UNE October 27-29. Branagan, Marty 2003f, 'International Nonviolent Action: a Middle Path between War and Appeasement', Neucleus and website. Branagan, Marty 2002a, 'The Art(s) of Nonviolent Protest in Australia: 1982-2002' Paper presented at Art of Dissent conference October 21st 2002. Branagan, Marty 2003c "Can the International Community End a Dictatorship Nonviolently?" Paper delivered to Teach-In for Peace, "Options for Action", 27th March, 2003, University of New England. Branagan, Marty 2003d "A Review of the 'Art of Dissent' National Conference" in Graduate Post (UNEPA, UNE) vol.11, no. 1, Feb, pp. 9-10. Branagan, Marty 2002b 'Art Attack' in Art Insight May 2002 p17. Branagan, Marty 2002c 'William Robinson: Exhibition Review' in Art Insight (NERAM) May 2002 p.10. Branagan, Marty 2002d 'Belle Ile: Monet, Russell and Matisse in Brittany' (exhibition review) in Art Insight (NERAM) May 2002 p11. Branagan, Marty 2002e 'John Llewelyn Jones: Australia's Forgotten Painter' (exhibition review) in Tamworth City Gallery News, issue 30, Spring page 5. Branagan. Marty 2002f 'Living Our Faith' (art review) in Armidale Express April 24, 2002 p14. Branagan. Marty 2002g 'Salvador Dali' (exhibition review) in Armidale Express Extra Intune magazine 7-13 November 2002 p.5. Branagan. Marty 2001d 'Bob Dylan: Weird as Ever' (concert review) in Neucleus March 2001.